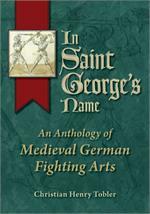 The medieval knight was a well-trained fighting man, expert in the use of many weapons. 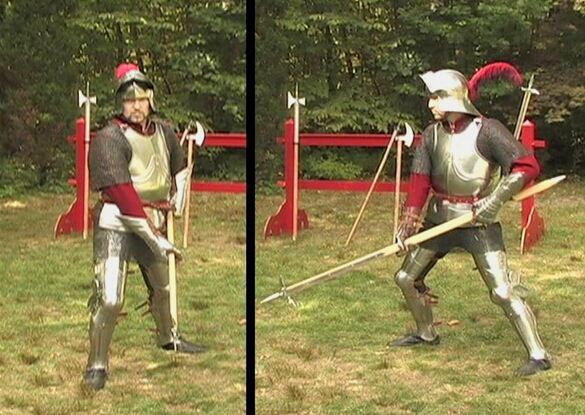 One of his premiere weapons was the poleaxe, which combined aspects of a spear, hammer and sword into one, deadly form. Well-balanced and surprisingly agile, even the knight’s armour was no sure defense against its swift thrusts and heavy blows. - A complete, 500 year old system of knightly combat! 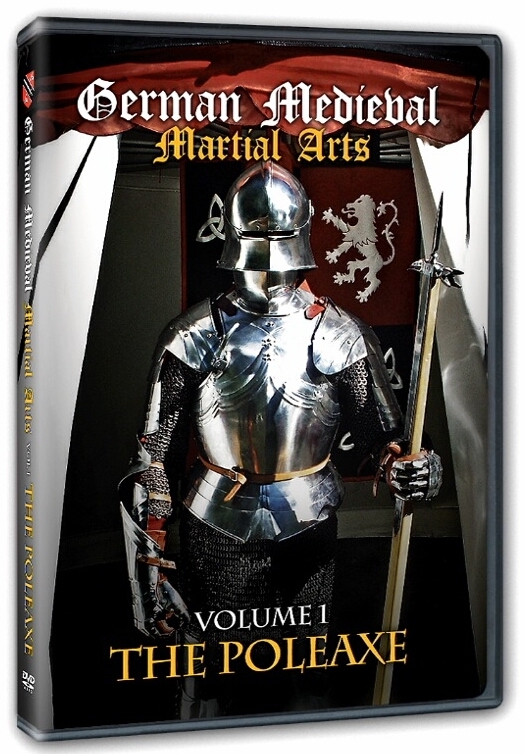 German Medieval Martial Arts, Vol 1: The Poleaxe provides a complete overview and training curriculum for this fearsome weapon. 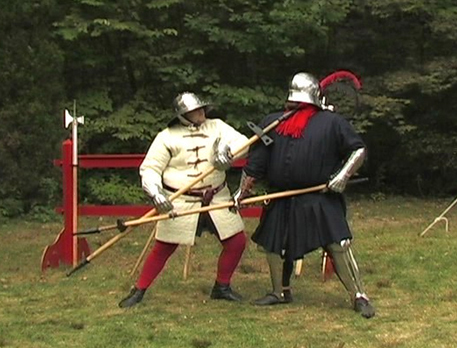 Guards, blows, disarms and throws taken from the writing of Medieval masters-at-arms are meticulously depicted and broken down with step-by–step instructions for the individual student or training group. 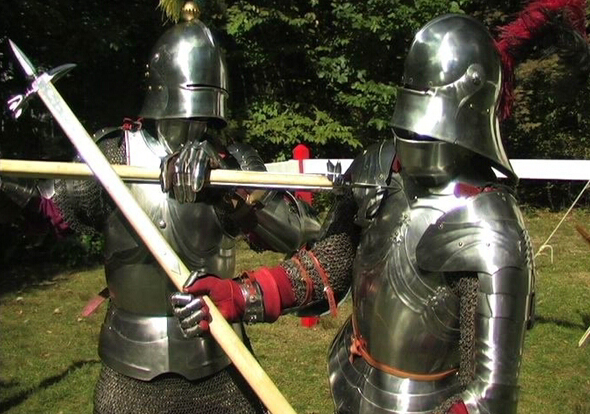 But more than just drills and techniques, you will learn the history of the poleaxe’s evolution and its role in the tournament, judicial duel and on the battlefield. 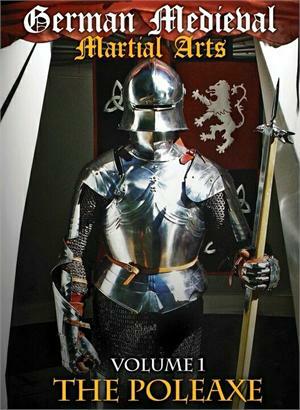 Including interviews with leading experts on medieval weapons and combat, and featuring a soundtrack by the renowned Paul Butler Consort, join medieval combat expert Christian Henry Tobler on a journey into the lost world of chivalric fighting arts. "...First off, the production quality is excellent! As someone who dabbled (briefly) in the video production world, I can appreciate the obvious hard work that Speaking Window Productions put into this DVD. There was only one point during the Drills section where the sound editor missed an audible “cut” - and I only caught it because I was paying very close attention. Wonderful job guys! The music adds a very nice ambiance to the video without being too distracting. The DVD opens with a re-enacted judicial duel, which is just great fun! 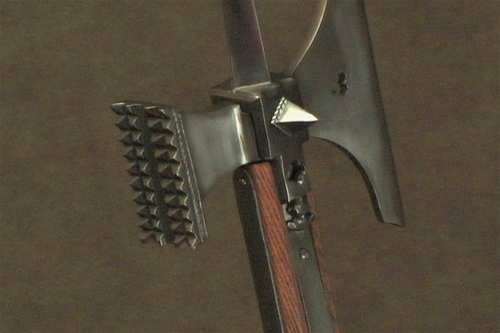 Following this is the Introduction, a mini-documentary detailing just what a poleaxe is, the etymology of the word, as well as interviews with Christian Tobler, Dr. Lee Jones and Dr. Jeffery Forgeng. 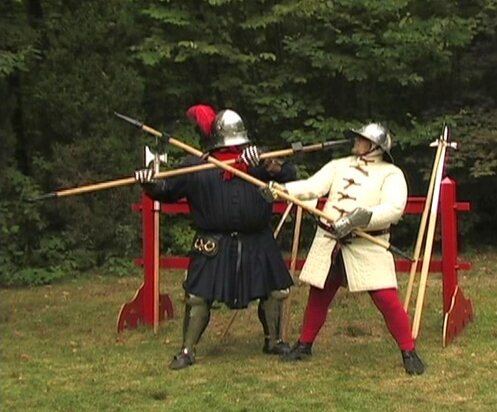 This is followed by a section covering the Guards and an overview of what can be done from each guard. In this section, Tobler finds the perfect medium between being too brief and going into too much detail. 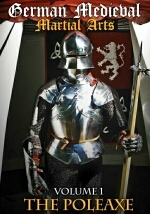 The participants are in period clothing and armour (of which there is a wonderful variety!) which adds to the experience. Each guard is shown simultaneously in a side and front view, which is very helpful, and all the actions are clear and precise. 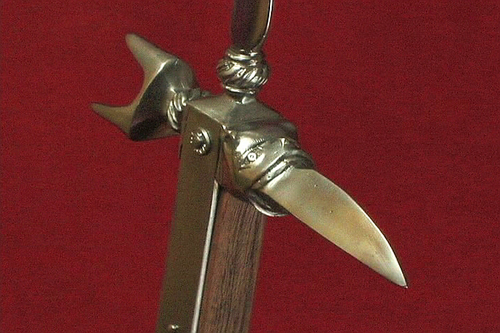 The Drills section covers handling the axe (i.e. 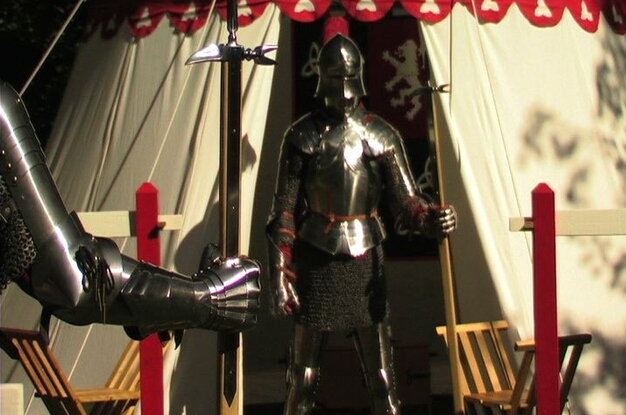 being comfortable moving the axe around and using both hands as leads) – I would have liked a mention of the importance on practicing this while wearing gauntlets, because gauntlets do change things about how you grip (and Christian is shown wearing gauntlets during this spot). Then the DVD moves into paired drills for practice, which highlight in greater detail the actions shown earlier. 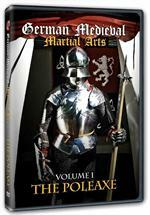 This is perhaps the best instructional DVD I've ever seen – clean, concise, & informative without trying to do too much. It is a great volume for beginners and long-time WMA students."